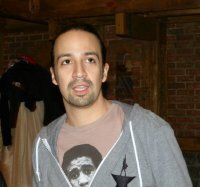 HAMILTON’S AMERICA is produced by Academy Award® and Emmy®-Winning producers RadicalMedia (What Happened Miss Simone?, Keith Richards: Under The Influence, In the Heights: Chasing Broadway Dreams for PBS). The documentary combines interviews with experts and prominent personalities, new footage of the production in New York, and cast-led expeditions to DC, Philadelphia and New York. PBS announces new programs and initiatives launching in 2016. “The Marvelous Mrs. Maisel,” an Amazon Studios series, won two Golden Globes Sunday night—one for best TV comedy series and one for best actress in a comedy series for Brosnahan, who grew up in Highland Park. It’s a hilarious look at a life among the wealthy and the lovably wacky flavor of Greenwich Village before Bob Dylan arrived. The popular and award-winning series Mozart in the Jungle has played its last concert. Today, Amazon.com announced that the series, a dramatic sitcom set in New York City that chronicled the backbiting, infighting and backstabbing of the classical music business, will not be renewed for a fifth season. Yes Downton Abbey returns in January. PBS premieres the Civil War drama Mercy Street on September 27. 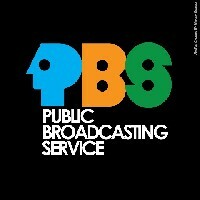 Come fall PBS yet again will roll out an entertaining cornucopia of programming. As blues giant Bessie Smith in HBO's "Bessie" Queen Latifah gives the finest performance of her career. The drama is based on a 1972 book by Chris Albertson. During the 1920s she was the Empress of the Blues but during the great depression which followed in the 1930s, as she compellingly sang, "Nobody knows you when you're down and out."